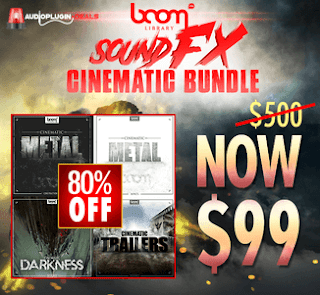 SAMPLE SOUND REVIEW: BOOM Library Sound FX Cinematic Bundle ! ON SALE NOW!! 80% OFF! BOOM Library Sound FX Cinematic Bundle ! ON SALE NOW!! 80% OFF!